Descending trend turned out to be stronger that we expected. Most likely, Eurodollar will reach the next group of fibo levels at 1.3520 – 1.3505 during the next several days. 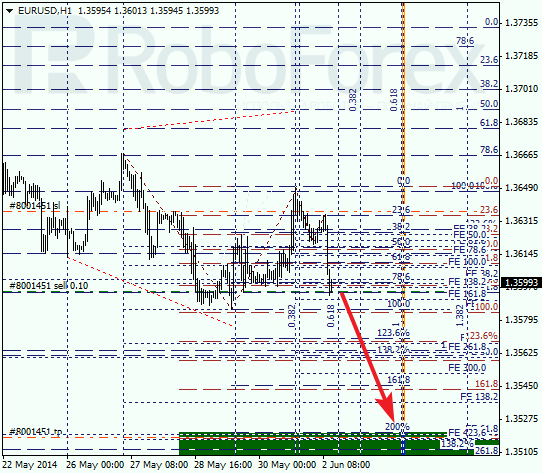 If pair breaks this target area, Euro will continue falling down. 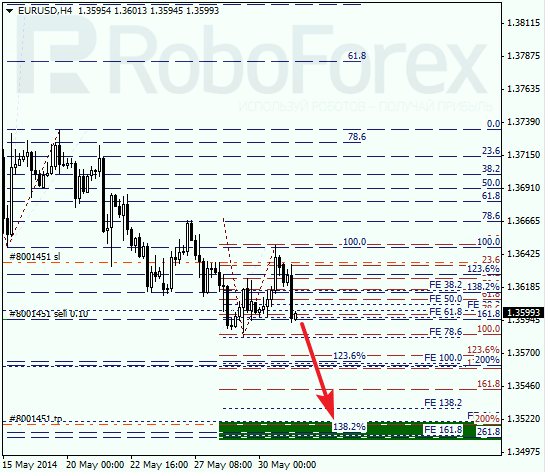 As we can see at H1 chart, lower targets are confirmed by additional local fibo levels. According to analysis of temporary fibo-zones, price may reach this target area by Tuesday. 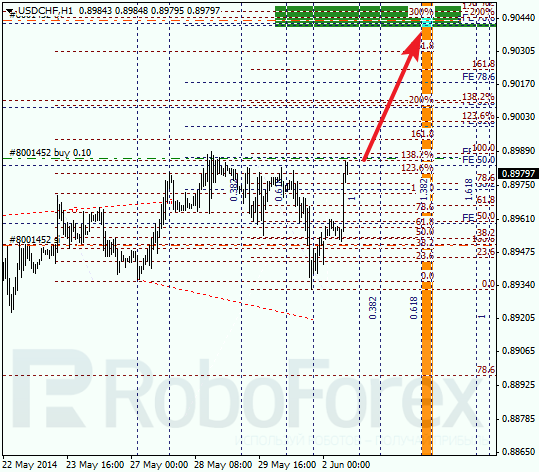 On Monday, I opened sell order; stop is a bit higher than local maximum. Franc is also starting to move inside main trend. Possibly, price may break local maximum during the day. 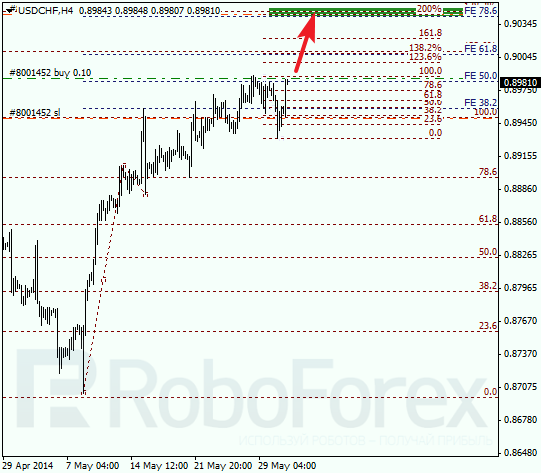 Main target is the group of upper fibo levels at 0.9045 – 0.9040. As we can see at H1 chart, there are several additional local fibo levels near the group of upper levels, which make them even more important. According to analysis of temporary fibo-zones, this target area may be reached by Tuesday noon. If later price rebounds from them, market may start new correction.